Rent Yoshi's Oakland | Corporate Events | Wedding Locations, Event Spaces and Party Venues. Yoshi's Oakland offers a host of possibilities for special events. Yoshi's is available daytime hours for luncheon parties, seminars and meetings in the performance space and corporate trainings. Full restaurant and jazz club buyouts are available as well. Join us in our newly renovated Claremont Room, which pays homage to our humble beginnings as a North Berkeley jazz venue and sushi bar. The ideal location for a private event up to 80 guests. Perfect for weddings and private events up to 80 guests, the Main Dining Room is located along the restaurants full length windows and provides a full view to the outdoors. Yoshi’s began in 1972 as a small, North Berkeley sushi bar owned by founder and namesake, Yoshie Akiba, alongside her two best friends Kaz Kajimura, a journalist and carpenter, and Hiroyuki Hori, a painter and Japanese cook. Over the next 40 years, Yoshi’s built itself into one of the world’s most respected jazz venues, earning a reputation as the Bay Area’s premier location for great Japanese cuisine and jazz music. 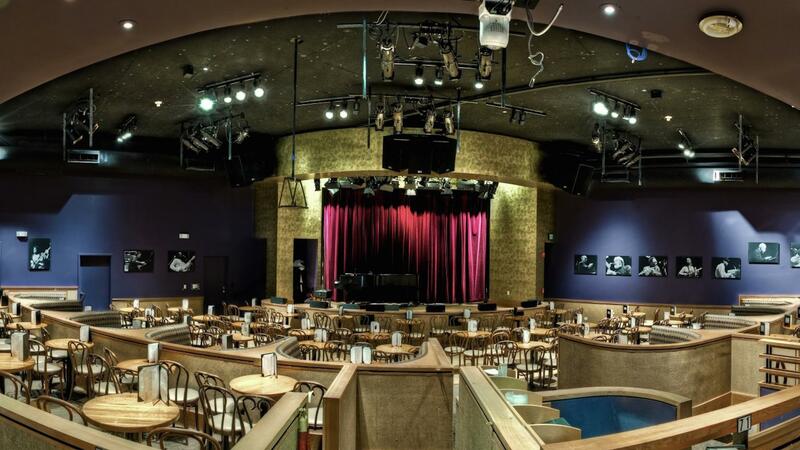 Today, Yoshi’s is an award-winning 310-seat live performance venue with a state-of-the-art sound system and design, occupying 17,000 square feet in the heart of Oakland’s Jack London Square. Under the guidance of esteemed Artistic Director Michael Pritchard, the venue has expanded its focus to include broader genres suitable to a variety of musical tastes.